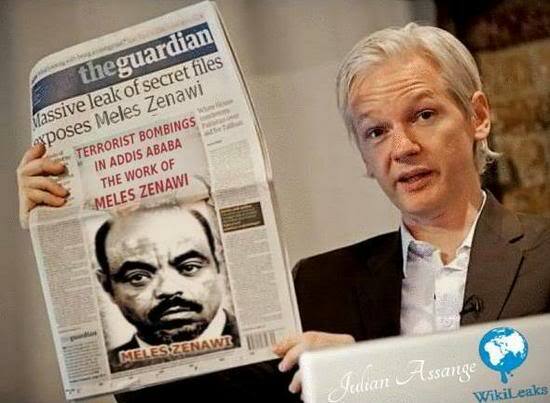 Ethiopian despot Meles Zenawi is said to be planing an invasion of Eritrea within the immediate future according to an official with ties to military officers. Using the recent deaths of the five Europeans tourist as a pretext, Zenawi plans to invade neighboring Eritrea and annex its coasts with the goal of developing a new pipeline for South Sudan's oil to run through it, according to an Ethiopian official who declined to give his name by phone. In the wake of the damning accusation that Ethiopian troops killed the European tourist by Ethiopian rebels, tens of thousands of troops have been seen amassing on the northern border front, as elements within Zenawi's regime continue to take a more confrontational stance on the long-simmering conflict with Eritrea. "European diplomats working in Addis Ababa have been disappointed with the premiers handling of this ordeal and have privately dismissed Zenawi's accusations towards Eritrea as nothing more then the boy cried wolf syndrome," said a western NGO living in Addis Ababa, who spoke on condition of anonymity. Exiled Ethiopian opposition leaders have dismissed Zenawi's latest belligerent threats towards Eritrea as nothing more than the usual scapegoating of Eritrea to divert the international community's attention from the recent arrests of nearly 200 journalists and political leaders and the alarming human rights abuses in the Ogaden. Since Zenawi came to power in 1991, Ethiopia has waged a number of wars with its neighbors, including five unsuccessful invasions and occupations of Somalia, two border skirmishes with Sudan and a full-scale war between 1998-2000 with arch-fore Eritrea.